The Child Welfare League of America (CWLA), in partnership with Relias, offers easy access to continuing education and professional development courses for a broad range of child welfare and human service workers, clinicians, supervisors, and managers. These concise, yet comprehensive, courses will help professionals meet agency, regulatory, and professional licensing requirements, as well as keep up with the latest developments in the field. Learn anytime, anywhere with Relias’ new mobile app. And CWLA member agencies and their staff receive a 10% discount on all courses. Through this web site, professionals have access to Relias’ entire library of courses. In addition, CWLA will periodically be adding new courses. 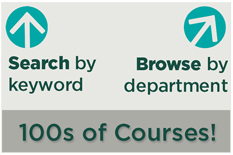 To purchase a course or browse currently available courses, follow the directions on the left of the screen. To receive the 10% CWLA member discount, you must have the member code. It can be obtained from the Members Only Content page on www.cwla.org/userportal or by emailing MemberServices@cwla.org. For additional information on the entire process, use the "Getting Started" and “FAQs” at the top of the screen. Interested in making this library of courses available to everyone in your agency? CWLA members may also develop a customized site for their agency. An organizational site is a comprehensive online training and management system with top-notch reporting and monitoring capabilities. 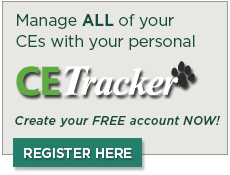 This provides on-demand access to all courses for your entire staff at any time, with payment of a set monthly fee. This model also allows you to customize courses from the online library, add your own courses and develop new courses with the assistance of Relias’ staff. To learn more, contact solutions@relias.com or call 877-200-0020 or visit www.relias.com. Not a CWLA member? Click here to learn more about the benefits of joining CWLA membership.